I hope everyone’s new year is off to a positive start! I’ve been writing a little bit less frequently over the last month or so because I’ve been focusing my attention on a project that I’m almost ready to share with you! But in the meantime, I’m here today with some of my favorite new things that I’ve been dying to share (if you haven’t already seem some on my insta!) I haven’t posted a Lovin’ Lately in quite some time, so we have some catching up to do. I had this one on my list for a while and asked for it for Christmas. I saw a few beauty bloggers that I like talking about it, so I thought I’d give it a go. At my age, I’m not too concerned yet with beauty products/tools related to anti-aging or face lifting, but what I like about this massager is that it stimulates the skin and helps your complexion through massage and increased circulation. I’m a big believer in self massage and I think it’s so good for your skin all over your body to get things moving and blood circulating and the face is no different. 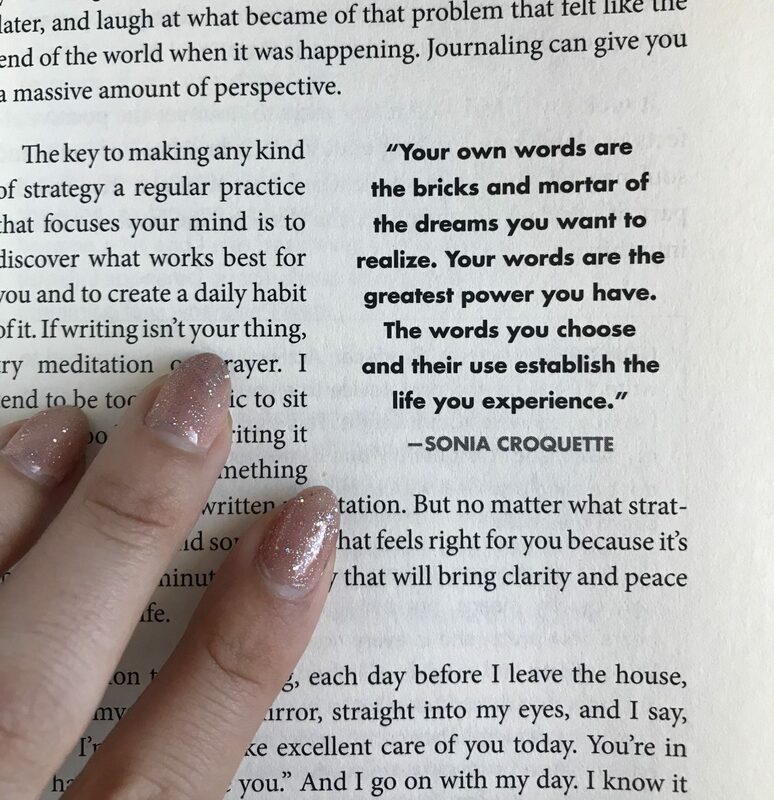 I’ve posted a lot of the amazing quotes in this book on my insta stories along the way but I’m here with a full recap of the book now. 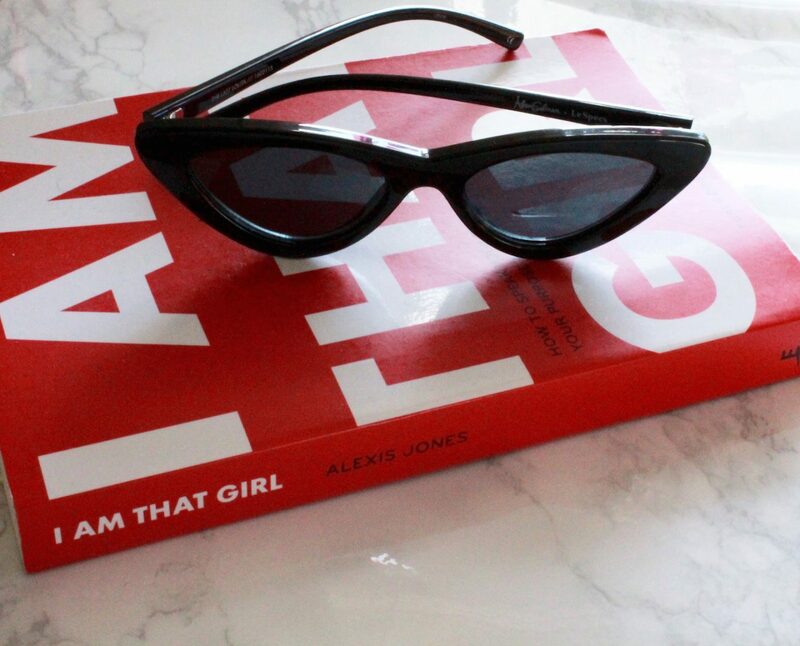 I Am That Girl was suggested to me on Amazon based on a few others I had purchased, and I just went for it. I never watched Survivor, but the author is known for being on that show some time ago. 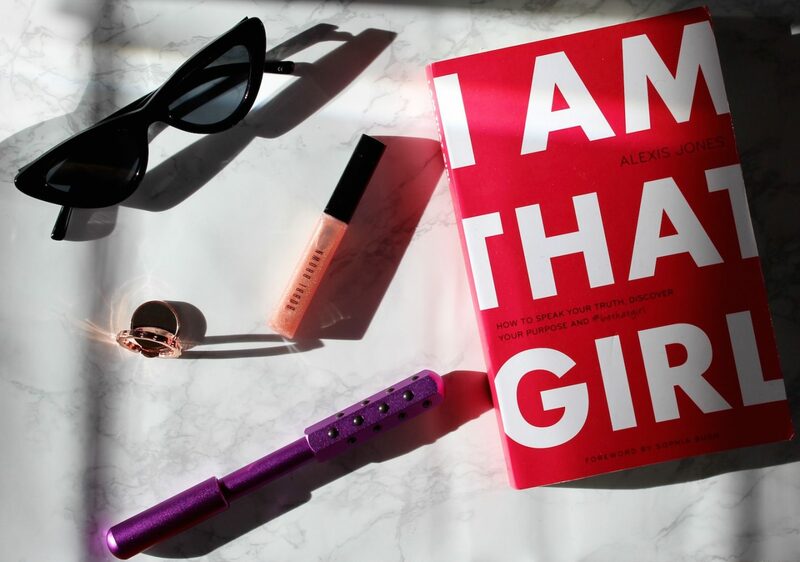 I Am That Girl is an inspiring memoir/self help read geared toward encouraging young women to discover and pursue their dreams. It’s written in a very conversational tone, which I appreciate, and gives you the feeling like you’re speaking with Jones herself. She has a number of personal and third party anecdotes throughout the book supporting all the lessons and techniques she advocates, and there are many gems to be found throughout all of her advice. If you are maybe early 20’s and trying to figure out your next steps career-wise, I would recommend this one to get you into a positive mindset to do so. I’ve always been on the hunt for completely tinted, classic cat eyes and found my way to these beauties via Net-A-Porter. Over the last few years I’ve been investing in timeless sunglasses that I can wear everyday and for many years rather than cheapy ones that I pick up randomly. This is part of my overall move to be way more strategic (and less indulgent) about my fashion purchases and I couldn’t be happier with them! I can throw these on with literally any outfit and it classes it up perfectly. Worth the investment to have a simple, beautiful staple that you can enjoy every day. Definitely not a lip gloss gal typically but I have a particular strategy when it comes to this one. I put on whatever lipstick or liner I’m into that day and then but a little bit of Bare Sparkle either in the middle of both lips or just in the center of the bottom one. It’s such an elegant, light shimmer (no crazy glitter flecks here) that it gives the perfect subtle shine to any shade. Putting a little gloss in the center of the lips creates just the right amount of illusion of a bigger lip and it’s super easy to do. You can even put a little bit on a bare lip for a natural looking glow. I found this exact ring at Staples, of all places, and it was seven bucks and rocked my cellphone holding world. I recently upgraded to an iPhone plus and wanted to stick a ring of some sort on the back of it to hold it more easily. Now I’m hooked on having it and really love the stability it gives while taking photos, texting, or serving as a little kickstand when I’m following a recipe in the kitchen. Do you think you guys would pick up any of these? What’s your one favorite find of the new year so far? Also a couple days ago, I celebrated my second year anniversary of my blog — woohoo! I’m trying to hit 5K subscribers so please subscribe if you haven’t already in the box in the sidebar here or in the footer! I’ve been wanting to try the roller for a while and I tjink I’m gonna give it a go now! The book seems interesting as well 💪 Thanks for visiting my blog! Yeah! I had my eye on it for some time and I’m glad I got it! 😀 Thank your for the advice! Thank you for the kind words! I actually wrote a few posts about upgrading your blog. This is my most recent one. You can do a lot with a free plan but are limited in terms of theme and plugins. It’s a great starting place though. Thank you it really helped! I think it’s great that you’re talking about and encouraging others to live a healthy lifestyle! A lot of times when I’m listing things within a post I use headings to divide the post up in a way that’s more organized and easy to read. But that’s just my opinion on how I like to write posts. I think you’re off to a great start. I love Bobbi Brown lip gloss! Also that book looks really interesting. 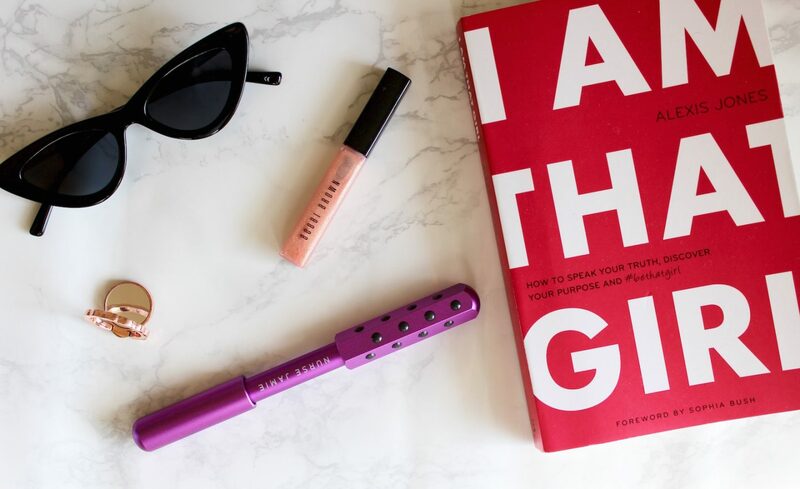 It’s the first Bobbi Brown gloss I’ve tried, but I love it! And the book was a great read as well. 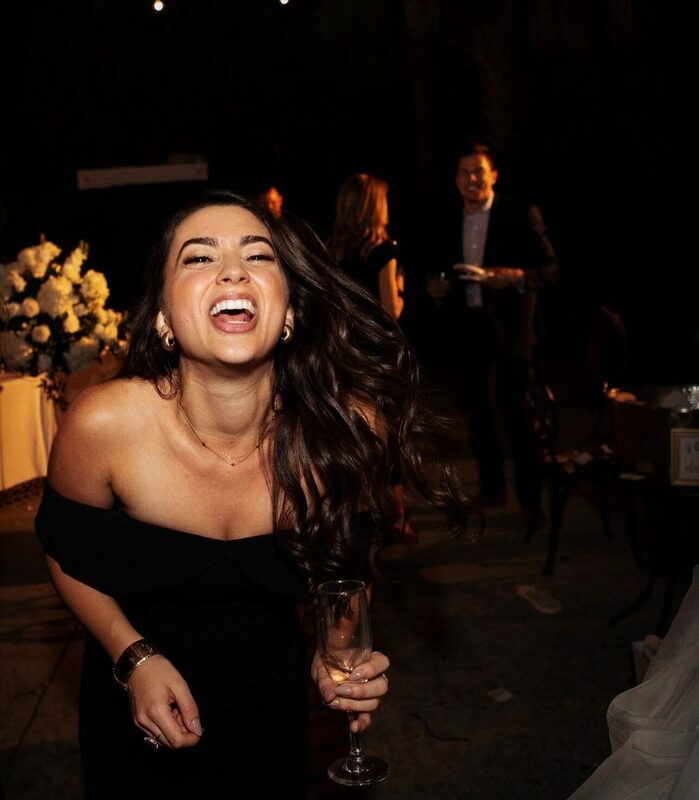 Welcome to The Bellezza Corner by Amanda Florian, a special place for all things beauty in life, style, wellness and travel. Find Amanda's latest tips, trends and more in her beauty corner of the world wide web. Enter your email to subscribe to The Bellezza Corner and receive notifications as soon as new posts are published! My Three Ingredients for Fabulous, Clear, and Happy Skin!